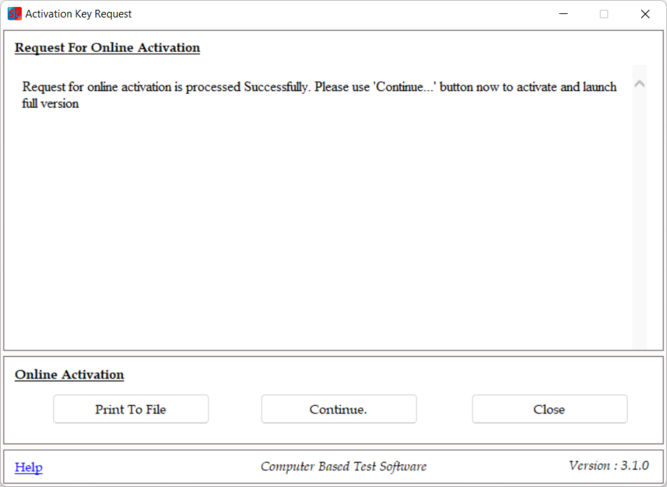 Activation procedure explained below is applicable for the customers who had purchased the product from one of our associate sites. Note: It is assumed that the user had already downloaded and installed the s/w product. If you have not yet downloaded/installed the software, please see instructions on how to download and install the software. 2. MANUAL ACTIVATION : Procedure to be followed by customers' who have only e-mail access to the Internet. The process may take up to 24 hours. Both the procedures have been explained in the following sections. 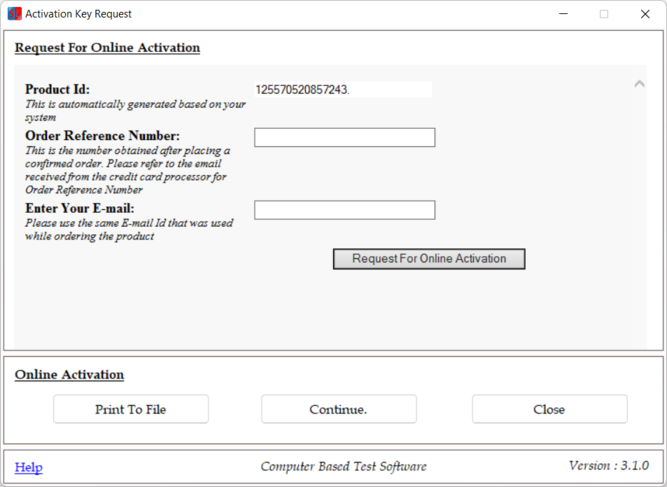 Once you open the application, click the button "Request Activation Key Online" for automatic activation of full version of the software. Click on the button " Request for Online Activation" so that the request goes to the server. Upon successful verification, the product is activated instantly. Please note that the Internet Connectivity is required for online activation of the product. A message is displayed on the window that the processing was successful as shown below. 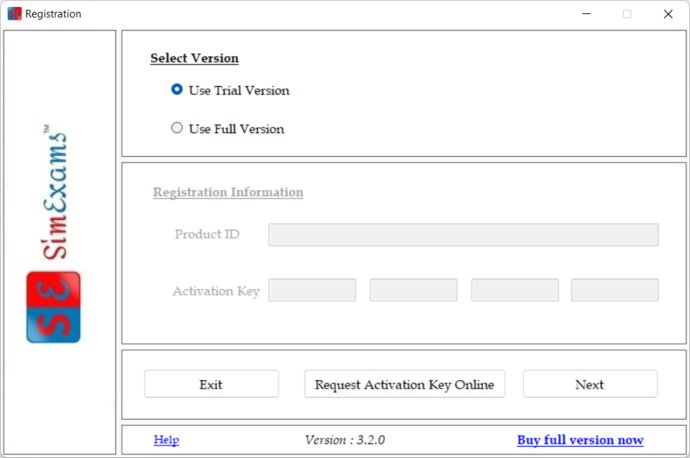 Now click on the "Continue.." button to launch the full version of the software as shown below. Note that the activation key will also be sent to user’s registered email-id. This will be useful if the user need to activate the product manually at a later time due to whatsoever reason. 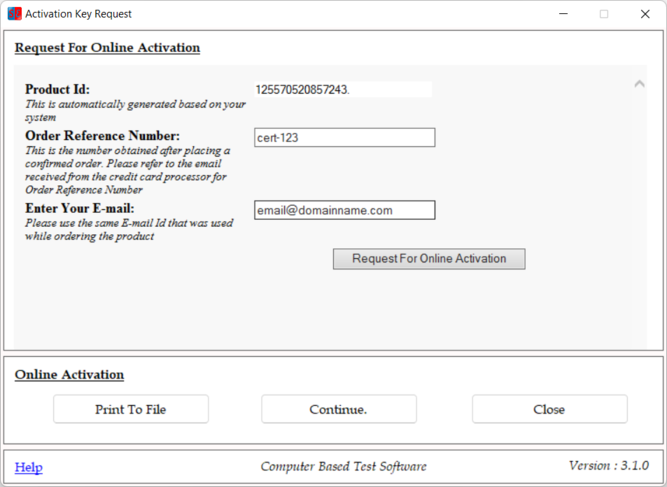 If there is no internet connection on the candidate system, then when "Request for Activation Key" button is clicked on the registration form, a message box is displayed as shown. 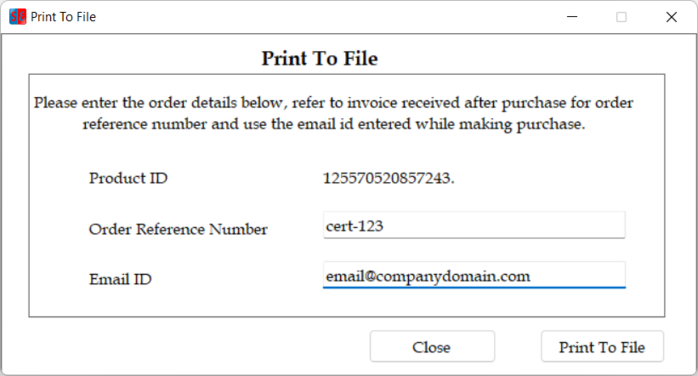 The user can fill up the fields in the "Print To File" form shown above (using your own Order reference number and email id), and use the button "Print to File" option to create a file with required information. 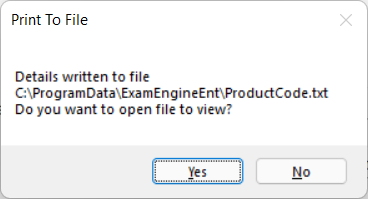 User then need to send this information via email to email ID specified in the file and the product key will be sent to user's email ID within 48 hours. 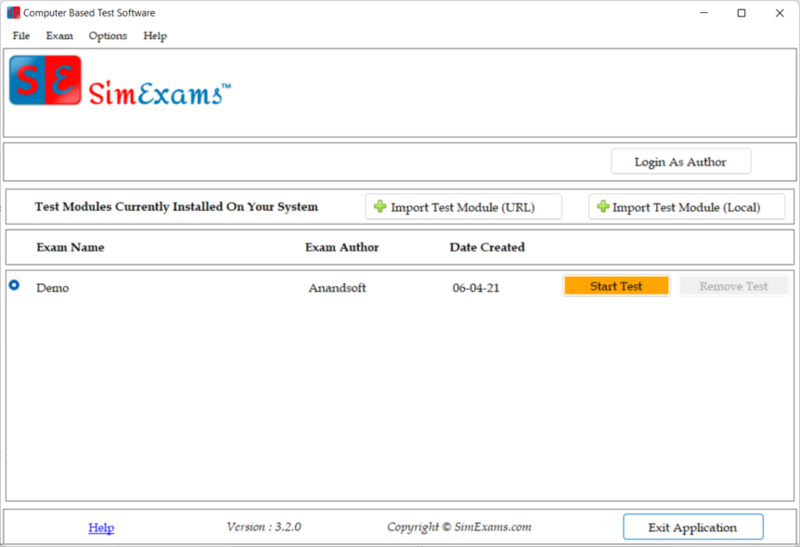 On clicking "Ok", the full version of the software is launched.